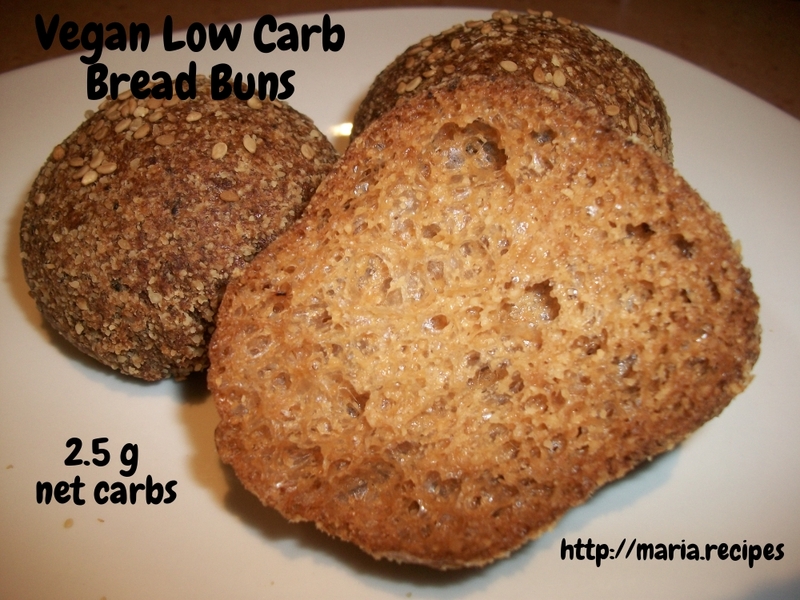 Most low-carb breads use eggs, and the only vegan ones I have come across all contain vital wheat gluten. I don’t mind consuming gluten every now and then, but I like having some paleo vegan options available as well. This recipe is a godsend. The texture of these breadbuns are amazing! The only issue with these in my opinion is that the agar gives a bit of an aftertaste, but you can substitute the agar eggs for flax eggs instead, which would also decrease the carbcount significantly. Little tip: if the bread seem to be puffing up a lot in the oven, but they deflate and end up being empty inside when they cool down, try reducing the baking powder a little bit. Mix the agar with the 6 tbsp water. If it doesn’t dissolve, put in the microwave for a minute until it is well dissolved and very thick. Mix all the dry ingredients. Put them in a food processor and add the agar. Mix until you have a crumbly dough. Add 1,5 cups of water and mix. Add the rest of the water as needed to get a sticky and firm dough. Divide the dough into 8 equal pieces and form little balls with them. Put in a baking tray and bake for 40 minutes or until when you tap the bottom, they sound hollow.